An 11-year-old Texas boy died Friday after getting hit by a truck during a school walkout to protest gun violence. Jonathan Benko was not participating in the walkout at Parkland Middle School in El Paso, but was with a group of 12 to 15 students that went to a nearby park as the walkout took place. The students were crossing a highway in front of the school when Jonathan was hit by a Ford F-150. He was taken to the University Medical Center of El Paso where he died from his injuries. Jonathan's mother, Ashley, works as a registered nurse in UMC's Emergency Department. Sgt. Robert Gomez of the El Paso Police Department said the driver was not charged in the incident. "It is illegal to walk on a highway," Gomez said at a news conference. "It's next to impossible for motorists to move out of the way of pedestrians on the roadway and that's why it's a restricted passage." Eighth-grader Angela Rodriguez, 14, remembered Jonathan as a "free spirit." "He was fun to be around, always lighting up the room," Rodriguez told the El Paso Times. "He played the violin. He was very good. He was one of the best ones in the class." Jonathan's death occurred on a day when students across the country protested gun violence by holding school walkouts. At Parkland Middle School, school officials put additional security at the front and back of the school for students participating in the walkout. But Xavier De La Torre, the superintendent of the Ysleta Independent School District, said Jonathan was with a group of students that left the school building from a side exit that did not have additional protection. De La Torre told The New York Times Jonathan's death was a tragic accident and, when students decide to leave campus, "it becomes more and more difficult to guarantee their safety." 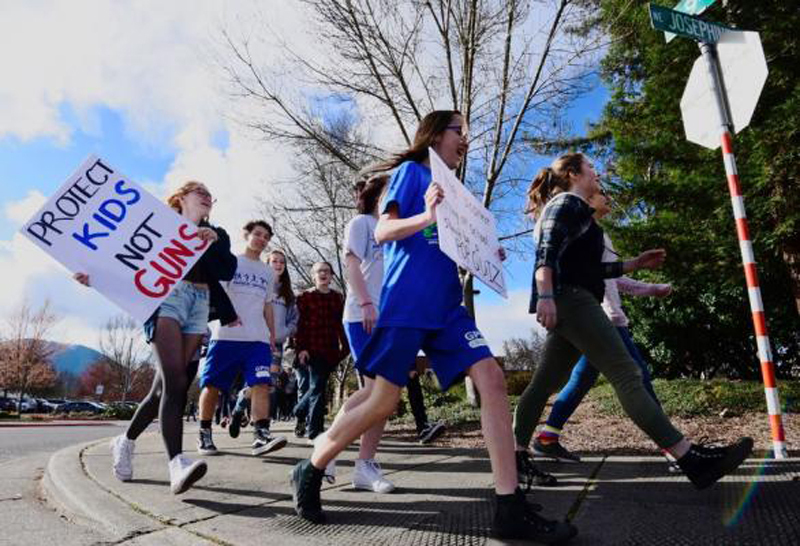 "What we've come to understand is that there are students out there that are very vocal, that are going to be our future leaders that are going to insist upon walking out," he said. "And what we try to do is help them understand that they can still have a voice and that they can still have a presence and demonstrate their recognition and honor of some of the things that have happened in this country without leaving the premises."